Perfect accent piece for any rustic wedding. Can be used as a small beverage bar, rustic table to hold wedding,graduation or birthday gifts, or for a place to display pictures or trophies. 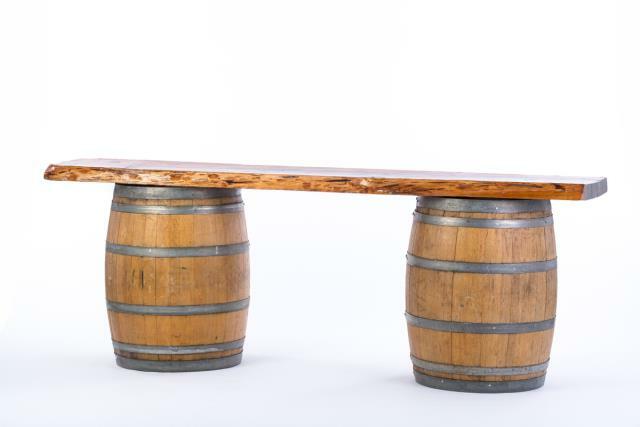 * Please call us with any questions about our rustic wine barrel bar rentals in Corning and Bath, serving the Finger Lakes Region of New York.